Doctors, trainers, fitness experts, health insurance companies and commercial insurance companies agree that biking is good for your health. Moreover, we also think it’s great fun. But the statistics show that, under certain circumstances, it may also get quite dangerous. Our new series about safety on the road will look at the most problematic areas of modern transport, and you can bet we won’t favour anyone. In collaboration with the police, doctors, and experts from ŠKODA AUTO Traffic Safety Research team, we will do our best to bring you comprehensive information on how to avoid the biggest mistakes, how to react in an emergency, and what you as an individual can do to help improve the situation in your city. 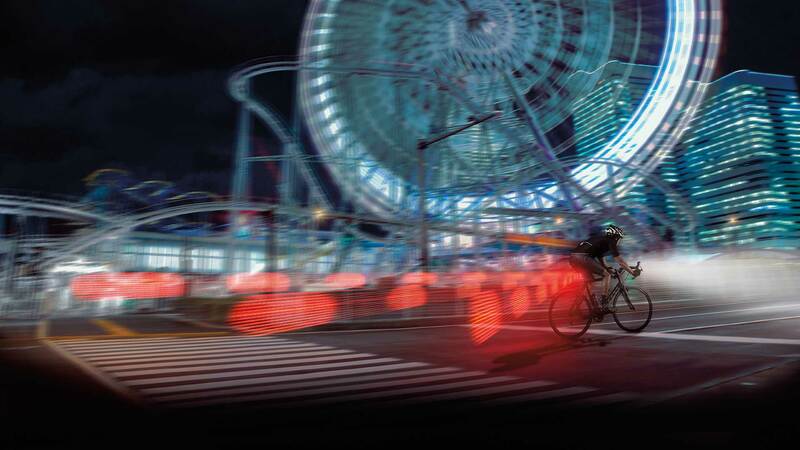 So let’s have a look at the most dangerous situations you may encounter while cycling. As a kind of mantra, cyclists keep pointing out the wrongs done to them by drivers, poor road surfaces, and reckless pedestrians. The figures, however, paint a different picture. Sadly, some statistics indicate that 60% of cyclists who lose their lives in the saddle seal their fates themselves. No matter if you believe the main road is clear and, confident of your immortality, steer your bike right under the wheels of a truck, or if you stop for refreshment and treat yourself with a little more pints than you should to successfully get into a tunnel. The bottom line is that in the majority of cases, fatal injuries of cyclists are caused by the cyclists themselves. How do cyclists mostly cause accidents? Now let’s talk in detail about such cases and some other common causes of accidents. A long-term collaborator of ŠKODA AUTO and police officer, Lieutenant Colonel Jan Straka says that loss of control is one of the most common and most tragic causes of cycling accidents. In more concrete terms, the above-mentioned situations include failure to estimate the speed of the bike, failure to brake in time to avoid an obstacle, and other mistakes one can make when riding a bike. Failure to adjust speed to road conditions and failure to give way rank among the most tragic causes of accidents. There has been a heated discussion over drinking before cycling. While some countries quibble over whether cyclists can have two beers or whether one beer is way too much, the permitted alcohol limit in Germany is 0.16%. A level sufficient to make you forget about winning the lottery the day before or about giving way to a bus on the main road. Most people would probably say that the best solution is not to drink at all. That’s why you may be a little surprised after reading the statistics of the Czech police and learning that 28% of accidents caused by cyclists involve alcohol. Research carried out in a hospital in the Finnish city of Kouvola gives similar figures: A full third of the 217 cyclists treated in the hospital within a period of two years were under the influence of alcohol. The percentage of cyclists who drink and ride is just a part of the issue, though, another important thing is the kind of injury they sustain as a result. While only a third of sober cyclists suffer a head injury, in case of drunk cyclists the number increases to 67%. To tell the whole truth, many of them bring this on themselves by forgetting to put on a helmet… What does it imply? It is worth it to wear a helmet and enjoy a beer only after a ride. In spite of the positive effects cycling has on the physical development of children, the statistics regarding cycling to school are mercilessly clear. According to a safety study carried out by Allianz, the risk is up to seven times higher for cycling than for walking or commuting on a bus. Because of their small stature, kids have more limited view of the road and traffic than grown-ups. They are not able to correctly estimate the speed of vehicles around them, and as Christian Weishuber, traffic safety expert of Allianz Insurance Company, points out, children have lower ability to concentrate and can get easily distracted. That said, you don’t need to give up cycling to school entirely. Experts advise parents to help their children choose a safe route and to personally ride it several times with them before the beginning of the school year in order to locate potentially dangerous spots or find more suitable detours. It is also advisable to test your kid’s knowledge about traffic and road sings. If more children commute to the same school, it is better to have them cycle together. That way, the older and more experienced ones will be able to keep an eye on the younger ones. Another good solution may be taking to social networks and organising a group of parents who would flexibly agree on taking turns in supervising the kids. Some people stick to their phones even on a date, so it comes without surprise that smart phones have found their way into the hands of cyclists – even those who are riding at the very moment. 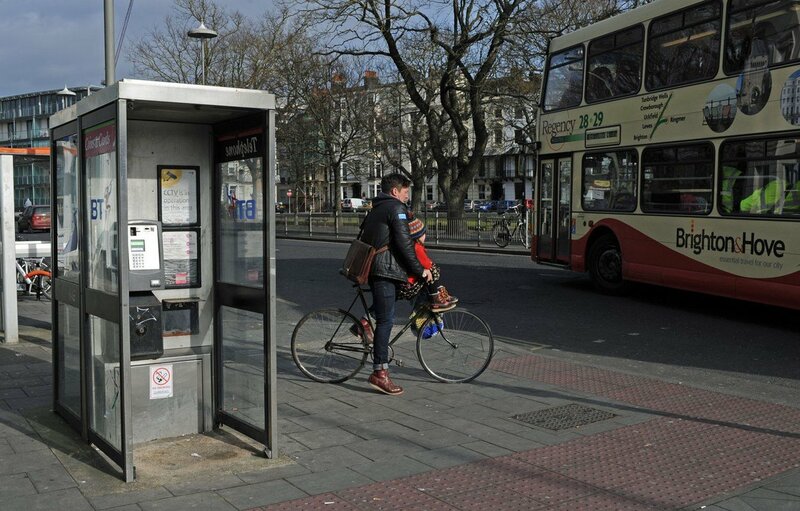 Mobile phones and their effects on cyclists’ behaviour were researched by the Faculty of Behavioural and Social Sciences in Groningen, the Netherlands. 24 people were cycling while having to handle a wide variety of tasks from sending messages to searching and finding their way on the display to making phone calls to listening to music on their phone. As a result, all participants started to lose speed and ride less predictably, as they moved closer to the centre of the cycle path, abruptly deviating from their course. Unsurprisingly, 83% of cyclists listening to music did not hear the instruction to stop. If an Airbus A380 captain lies down for a bit while flying across the Atlantic Ocean, it probably won’t be a big deal. They just engage the autopilot and charge their younger colleague to supervise the flight. You can’t afford such comfort on a bike, though. The most important thing to do in the saddle is look out for other vehicles and check the road. Talking on the phone while riding is very dangerous. © Profimedia, Depositphotos Inc. Some cyclists have no idea how unpredictable they can get for other road users. The drivers behind them try to read from their behaviour and predict in what direction they are going to head in the next few seconds. However, cyclists can give them a hard time. Abrupt deviations from course rank among the most common causes of crashes between a car and a bike (speaking of which, car drivers also know how to give us a hook). The lesson to learn from this as a cyclist is to always monitor both your course and the traffic behind you. Drivers, on the other hand, should bear in mind that the minimum distance to be kept while overtaking a cyclist is 1.5 meters. There are many campaigns focusing on this issue, including this one from ŠKODA Germany. Cycling without a helmet as a way to commit suicide? An Allianz Group study shows that more than 40% of all collisions of a bike and a car involve a severe head and brain injury. If a cyclist doesn’t wear a helmet at the time of the accident, the risk of suffering brain damage gets up to two times higher. Research suggests, however, that it is not just crash with a car that poses a threat for cyclists. Up to one third of all fatal cycling accidents or severe injuries are caused by other types of falls and collisions. Surprisingly enough, different countries have different opinions on whether the use of helmets should be compulsory or not. France, Italy, Germany, Switzerland, Great Britain, but also India and Hong Kong do not require helmet as a mandatory equipment. On the other hand, wearing a helmet is compulsory for cyclists in many states of the US, in South Korea and in Japan where children must protect their heads until the age of 13. In Austria, the age limit is 12 years. The Czech Republic requires helmet as a mandatory equipment until the age of 18. Things are quite interesting in Germany. The fact that only 10% of German cyclists wear helmets launched a public discussion concluding that the use of helmet should be required by law. This idea was dropped later, though, as research suggested that a mandatory helmet use would cause the number of cyclists to decrease significantly. To eliminate the consequences of a crash between a car and a human, the approach to building new cars has been revised completely in the last few years. All parts that have to do with colliding of a car and a human, such as front mask or bonnet, have undergone construction changes. Cars get special crumple zones and softer materials to become less harmful for humans. In their quest to increase safety, car manufacturers have redesigned even windscreen wipers. What persists to be a critical point is the edge between windscreen and roof. “Nevertheless, in the case of serious cycling accidents, the cause of death is mostly not the collision with the car itself, but rather the subsequent crash on the ground where the cyclist hits a kerb or other hard obstacle,” says Robert Šťastný from ŠKODA AUTO Traffic Safety Research. Despite the development in implementing driver-assistance systems, which can detect a cyclist and stop the vehicle to prevent collision, a helmet is still the most important factor which in the majority of cases determines the severity of the injury. Tram rails are tricky because your tyre can get stuck in them quite easily, which inevitably leads to a fall. Lorries pose a threat because the drivers sitting high above the riding level of bikes are surrounded by lots of blind spots where they cannot see the cyclist. If a lorry, bus or an HGV comes in your proximity, be twice as vigilant and avoid any risky or unpredictable actions, as chances are the driver will simply not notice your abrupt change in direction. Getting doored is one of the most common causes of cycling injuries. Drivers do not check their rear-view mirrors when getting off, and carefree cyclists ride close to parked cars. There is a high risk of failure on both sides, and the consequences are often fatal. The reason is that the door frame is one of the worst parts of a car you can hit. “With all ŠKODA car models, we focus a lot on providing a solution for situations when a human hits the front part of the car. Unfortunately, it is not possible to take similar steps in the case of door frames,” Robert Šťastný explains. Nevertheless, ŠKODA does not underestimate the risk of collision with opened door, also known as dooring. In the near future, this problem should be solved by radars that monitor blind spots when overtaking. They would inform the driver about a cyclist coming from behind and warn them not to open the door too fast. Police officer Jan Straka comes with an advise for considerate drivers. Apart from the traditional practice to check the mirror before opening the door, he also recommends to open it with the far hand, i.e. the right hand for cars with the steering wheel on the left side. This trick, also known as Dutch Reach, makes the driver turn and look back, which reduces the risk of overlooking an oncoming cyclist. How can cyclists prevent this danger? By paying attention to traffic. If you see a car pulling up at the side of the road, there is a high probability that someone is going to get off. Take notice of the cars that stop in front of you and don’t be afraid to carefully use the entire lane. If necessary, slow down and accept the fact that you’ll have to set up your Strava record only on weekend somewhere outside the city. Although cyclists zooming through the streets in phosphorescent safety vests may seem ridiculous to some (and we hope this is a thing of the past), they have a much higher chance of surviving till next morning than people dressed in dark colours. Yes, of course we love all-black jerseys, but we will rather give them up in this case (or attach loads of reflective bands). The influence of the colour of clothes on accident rate was researched by a group from a university in Aalborg, Denmark, in collaboration with the local police. It was not a minor experiment, but a large-scale two-month project involving 6,793 cyclists. Volunteers were divided into two similarly large groups. During the day, one group kept riding in the same clothes they used to wear before. The other group was handed out yellow safety jackets. The results confirmed what you probably know already. Cyclists dressed in yellow jackets had an incredible 47% less accidents than participants from the other group. The number of accidents involving a motor vehicle was even 55% lower. Keep this in mind when you go shopping for a new apparel and stay away from the tried and tested tactics of special forces who do their best to blend in with the background. If you want to survive on a bike, you must be visible. The statistics are clear on this one. Even though the above-mentioned data implies that cycling involves a lot of potential risks, research suggests that the benefits of this means of transport predominate over its disadvantages. A more scientific insight into this subject matter is offered in a Danish university research. According to the results, the number of cyclists in Denmark has increased by 10% over the last twenty years. At the same time, the number of cycling injuries is 55% lower than in 1998. This trend is even more obvious in the capital city of Copenhagen where cycling traffic increased by 30% while the number of injuries decreased by 33%. And now for the most positive bit of news: The research also shows that people who ride bikes on a regular basis have a 21 times higher chance that they’ll boost their health than that they’ll sustain an injury.